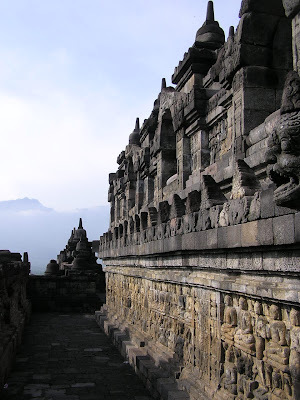 Borobudur, or Barabudur, is a 9th-century Mahayana Buddhist monument in Magelang, Central Java, Indonesia. 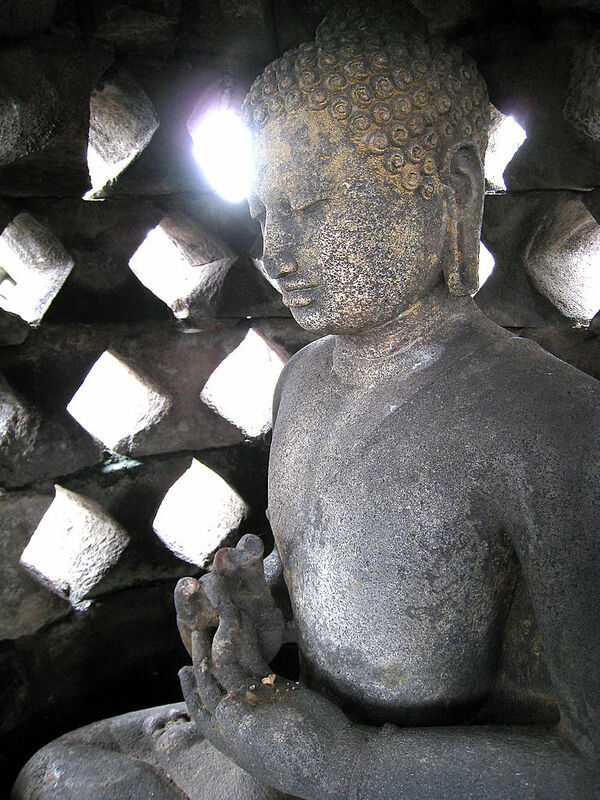 The monument consists of six square platforms topped by three circular platforms, and is decorated with 2,672 relief panels and 504 Buddha statues. A main dome, located at the center of the top platform, is surrounded by 72 Buddha statues seated inside a perforated stupa. Built in the 9th century during the reign of the Sailendra Dynasty, the temple’s design in Gupta architecture reflects India's influence on the region, yet there are enough indigenous scenes and elements incorporated to make Borobudur uniquely Indonesian. 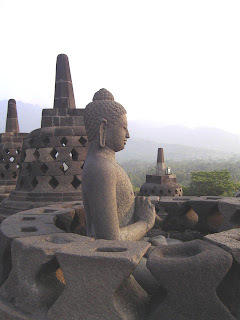 The monument is both a shrine to the Lord Buddha and a place for Buddhist pilgrimage. 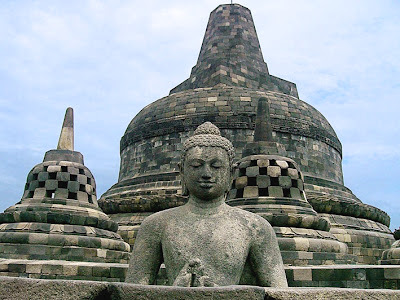 Evidence suggest Borobudur was constructed in the 9th century and abandoned following the 14th century decline of Buddhist and Hindu kingdoms in Java. 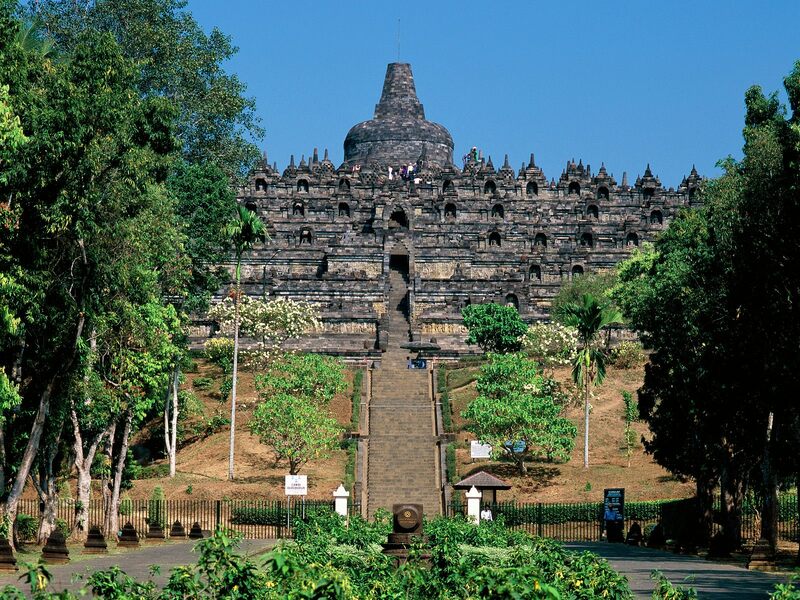 Worldwide knowledge of its existence was sparked in 1814 by Sir Thomas Stamford Raffles, then the British ruler of Java, who was advised of its location by native Indonesians. Borobudur has since been preserved through several restorations. 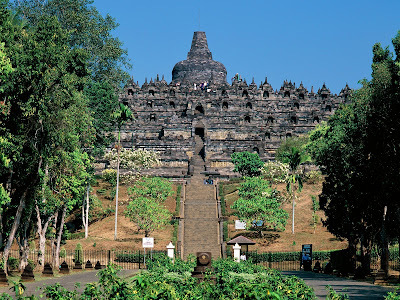 The largest restoration project was undertaken between 1975 and 1982 by the Indonesian government and UNESCO, following which the monument was listed as a UNESCO World Heritage Site. 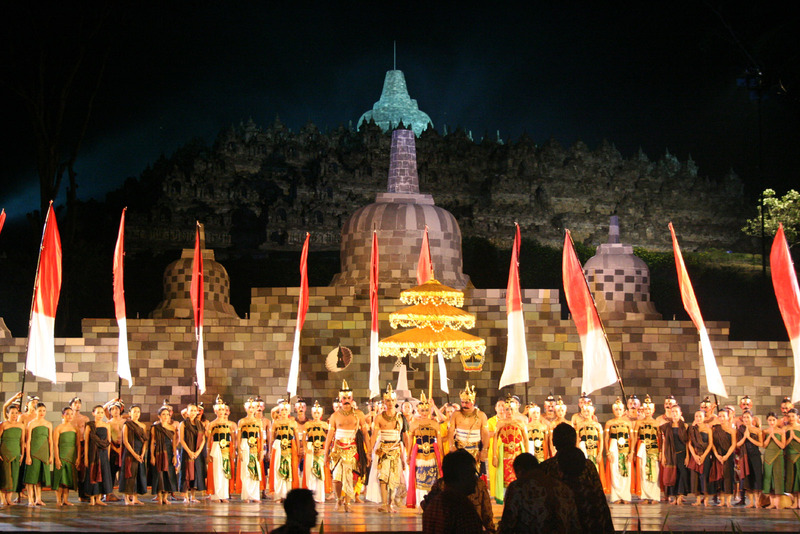 Borobudur is Indonesia's single most visited tourist attraction. In the period 600 AD to 800 AD there was a golden age of temple construction throughout India, Ceylon and South East Asia. It was a time when Hindu and Buddhist kingdoms flourished and men raised magnificent monuments to heaven in praise of their gods with a burst of frenetic activity of cultural expression and devotion. 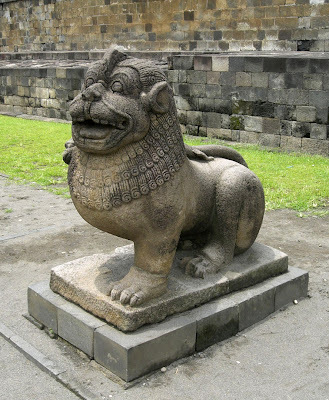 After their periods of glory they sank into oblivion, either as a result of military conquest or natural disasters and their monuments were reclaimed by the jungle and lost to mankind for almost a thousand years.